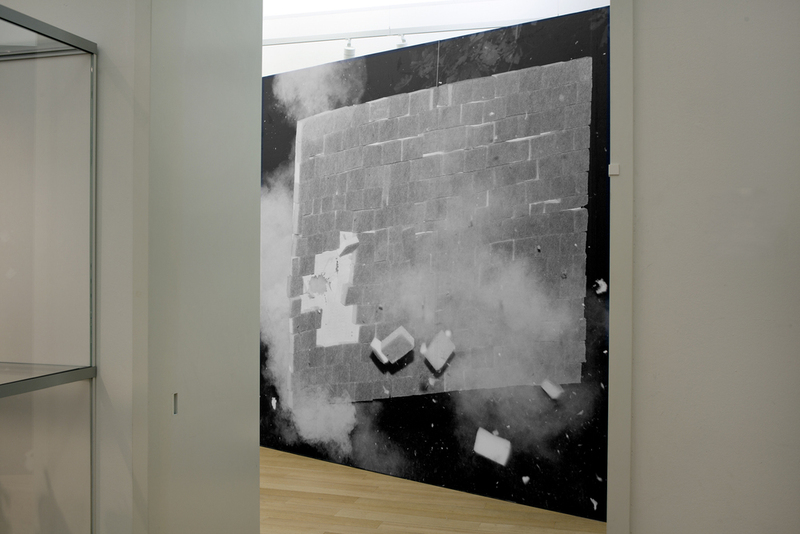 The two monumental walls on which the work is presented act as barriers in the space. In Driving Hazy, Push-up (2013) and Façade (2014), Kruithof uses irony and shifting perspectives to shed light on the psycho-social state of contemporary New York. Using an unorthodox visual language, she depicts the pressure of work, the drive to perform, stress, anxiety, power dynamics, and the fine line between success and failure. For the installation Push-up, Kruithof asked business people to perform as many push-ups as they could at the entrance of large corporations. She continued until security guards told her to leave for liability reasons. 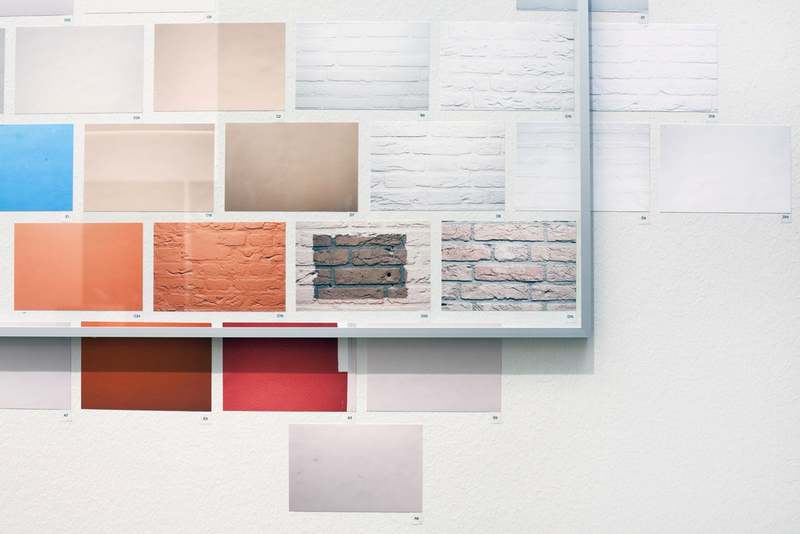 In Off the Wall (2014), the walls of various wards of the Altrecht psychiatric institution in Den Dolder (where Kruithof was artist-in-residence at The Fifth Season in 2011) form a colorful index. 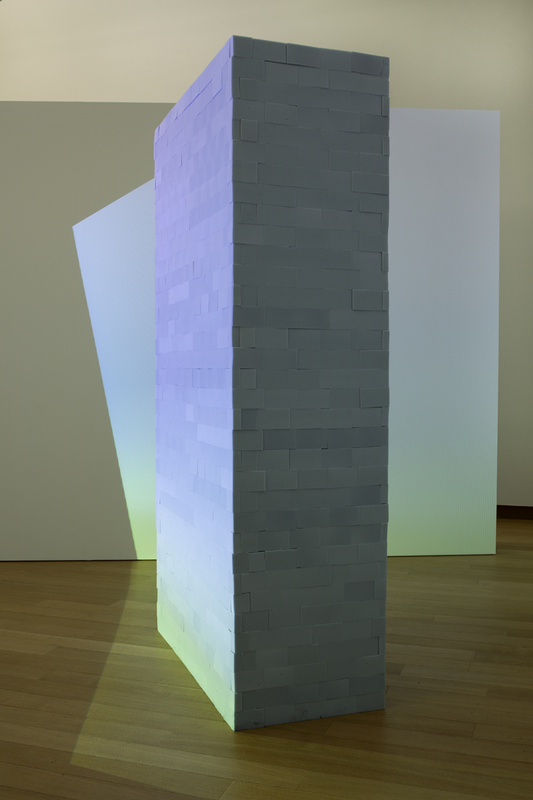 In this new work, Kruithof asks where, precisely, is the borderline between “healthy” and “mentally ill.” (Powersponge) Brick 2013 shows a gigantic brick wall made of one thousand sponges onto which the apple Spectrum screensaver is projected. the wave of colors is soothing, but, as it is crushed between a pair of walls, it also becomes an extraordinarily claustrophobic image. 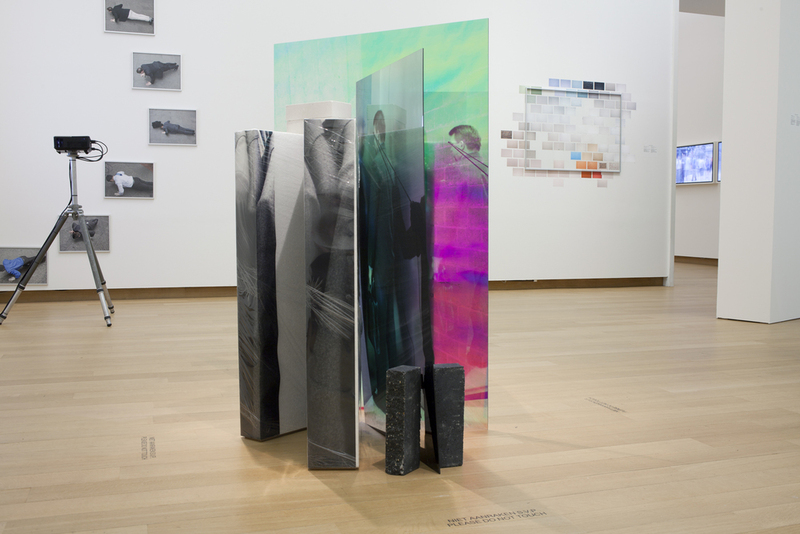 The work of Anouk Kruithof – photos, installations, sculptures, and artist books – is often derived from social interventions in the public space. She uses the camera as a strategic tool for making contact with the outside world. 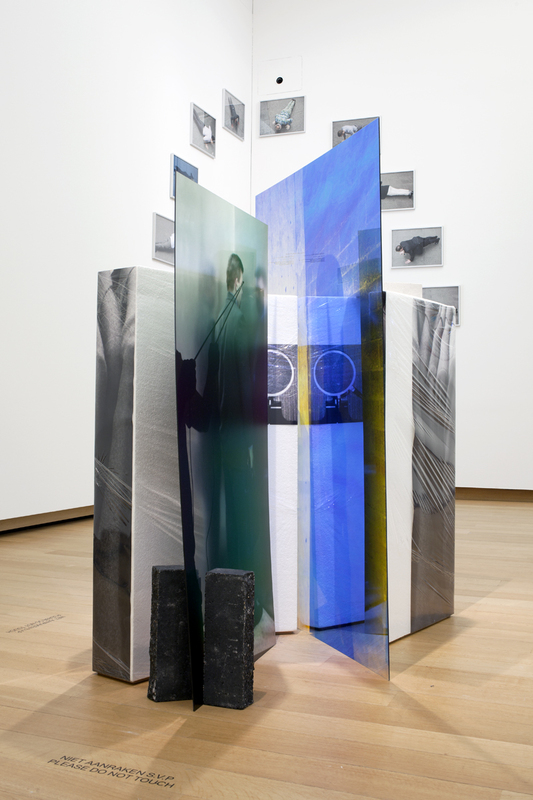 The photos then form the basis of her final works, in which the artist frequently includes everyday or industrial construction materials such as sponge or insulation material. 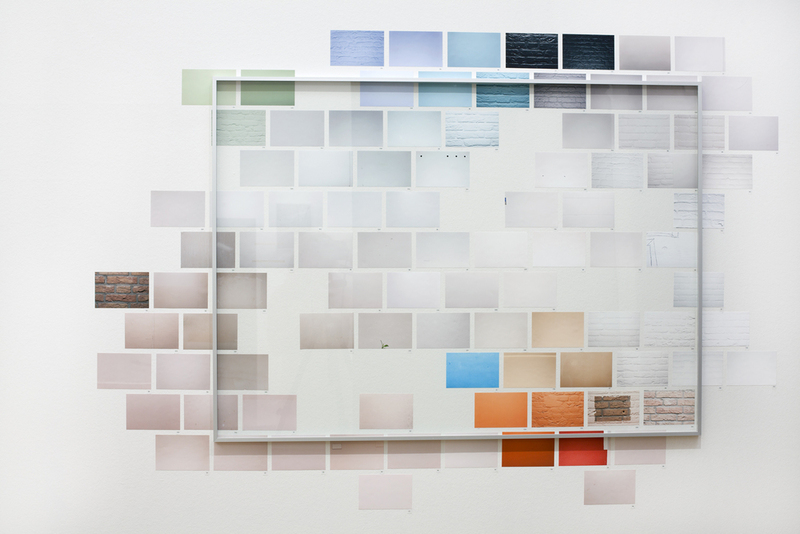 With this, Kruithof explores and challenges the boundaries of photography as a medium. 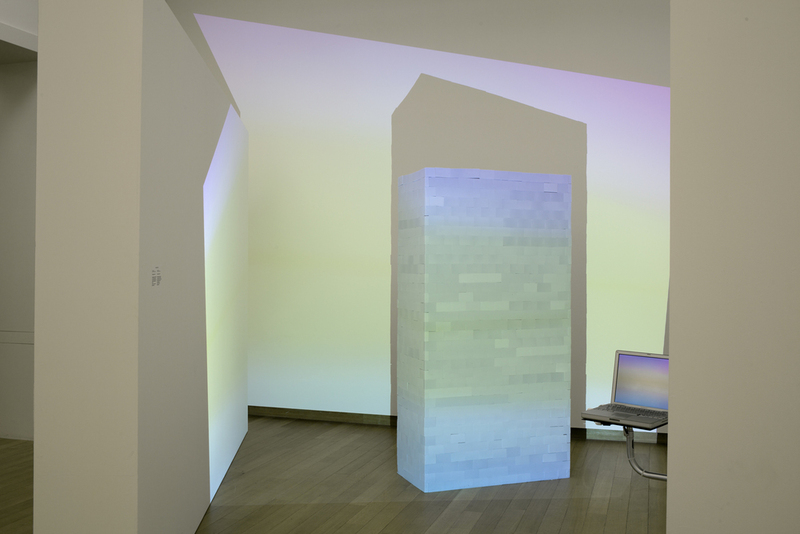 In the presentation entitled Within Interpretations of a Wall, Kruithof reveals her fascination for the “wall,” which functions both as an architectural element, and as a poetic delineation and metaphoric boundary within the human psyche. 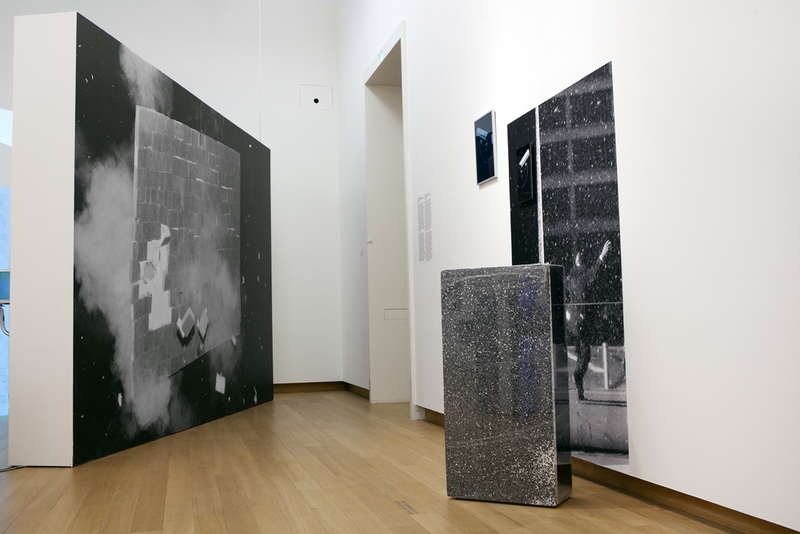 In Der Ausbruch einer Flexiblen Wand (Hart und Weich) 2011, the viewer is confronted by photographic prints of two disintegrating walls constructed from sponges.